This post is sponsored by the CDC's National Center on Birth Defects and Developmental Disabilities in collaboration with The Motherhood. Happy World Down Syndrome Day! Today is a BIG day in the Down syndrome community. Today is a day in which we unite to raise awareness about Down syndrome, and to show the world that people who have Down syndrome really are more alike than different and have so much WORTH! My personal journey with Down syndrome started 4 1/2 years ago with the birth of our sweet son, Liam. 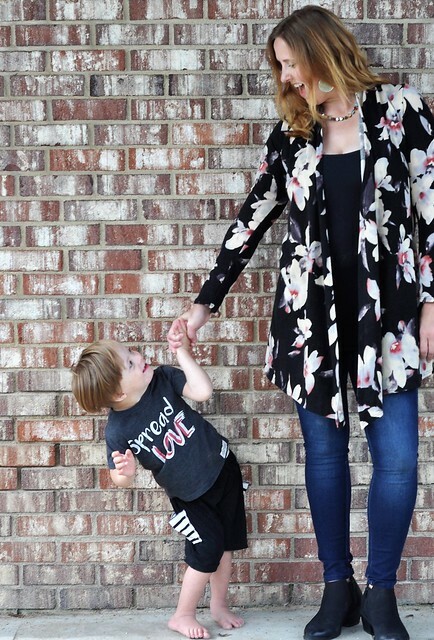 His unexpected post-birth diagnosis was a huge shock, but we quickly adjusted to life with Down syndrome. One of the most surprising things, however, was the fact that there were still so many misconceptions about Down syndrome. The world is filled with false facts, outdated information, and a whole lot of judgement! 1 in 5 U.S. adults is living with a type of diability. Although we are making great strides in becoming a more inclusive world for people with ALL abilities, there is still so much work to be done. In order to bring awareness, we must continuously educate and advocate! I will be the first person to admit that I didn't really understand Down syndrome until it was handed to me in the form of an impossibly tiny human who was rocking an extra chromosome! I quickly learned that everything that I thought I knew about Down syndrome was wrong. After years of research, and most importantly, experience, I consider myself well schooled. 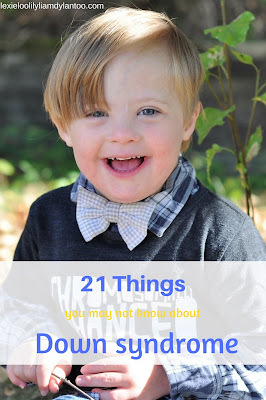 I now work tirelessly to educate others about what Down syndrome really is, in hopes that I will help make this world a better, more accepting place for my son and his peers! 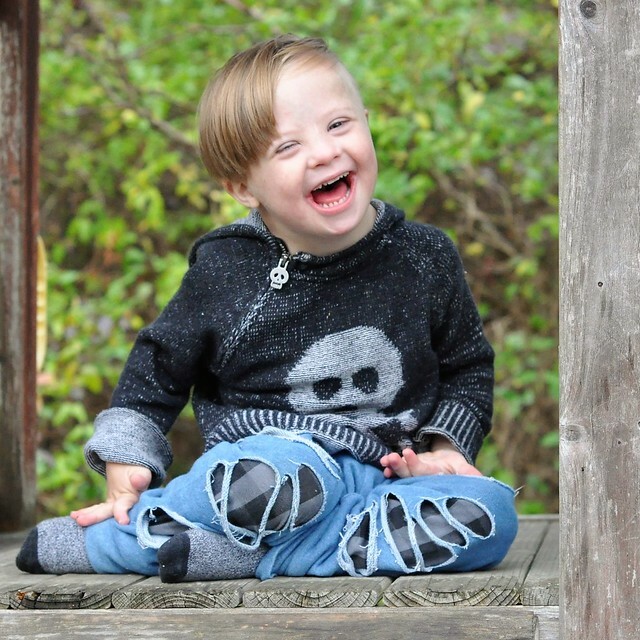 Down syndrome is the most common chromosomal condition. 1 in every 700 babies in the United States is born with Down syndrome. That's approximately 6,000 babies each year, which makes it the most common chromosomal condition! 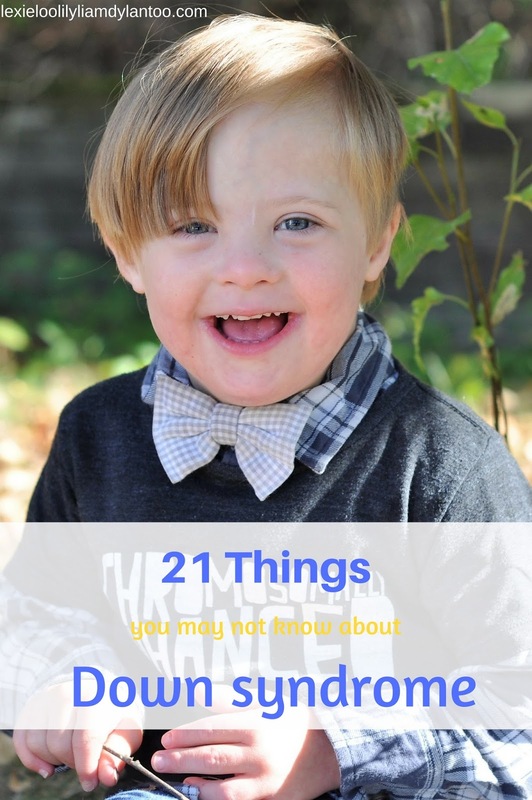 It's so important to read accurate information and facts about Down syndrome! Babies with Down syndrome can be born to mothers of every age. Although the chance of having a baby with Down syndrome increases with age, more babies with Down syndrome are born to mothers UNDER the age of 35! (I was one of them!) Any woman of child-bearing age can give birth to a child with Down syndrome, including teenagers and first time moms! Down syndrome is not caused by the parents. So many people still mistakenly put the blame on the parents when a baby is born with Down syndrome. They falsely believe that the mother or father did something to cause it. That is not the case! In almost every instance, Down syndrome occurs by chance! It's like rolling the dice! Down syndrome is NOT a disease. Down syndrome is not a disease. It is a genetic condition that starts at conception. It is not contagious, it can not be treated, and it will never go away. Babies with Down syndrome are born into families of every race and economic level. Nobody is exempt from having a child with Down syndrome. Babies with Down syndrome are born into families of every race, religion, and economic level. Down syndrome CAN go undetected during pregnancy. The life expectancy of a person who has Down syndrome is 60+. Many people still believe that people who have Down syndrome die young. In 1983, the average life expectancy for a person who had Down syndrome was 25, and today, it's 60+! Thanks to quality healthcare and routine testing, people who have Ds are living much longer lives! "Mental retardation" is no longer the appropriate medical term. Intellectual Disability and Cognitive Disability have replaced the now offensive "mental retardation" term. People in the medical profession rarely use this term anymore. Using the word "retarded" is very hurtful and offensive, because it implies that people who have disabilities are not good enough. People who have Down syndrome prefer people first language. People who have Down syndrome are PEOPLE FIRST. 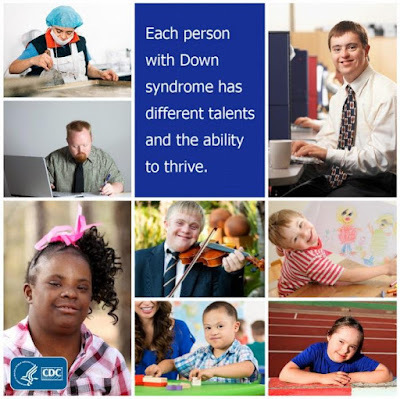 They are not a "Down syndrome child" and they are not "Down's." They have names. And they have Down syndrome. They do not suffer from Down syndrome. Try "the Baby/Boy/Girl/Man/Woman Who Has Down syndrome" instead. What should you say? Learn more about People First Language! People with Down syndrome can lead healthy lives! Many people assume that people who have Down syndrome are very unhealthy, but that's not true. Every human being is unique, including those who have Ds. Some people have health conditions, and some do not. The same goes for people who have Down syndrome. Although there are some health conditions they are more likely to experience, some people who have Down syndrome never experience a single issue! Quality healthcare, a healthy diet and exercise plan, and routine testing is the key to good health for people of ALL abilities! Here are some healthy living tips for people of all abilities. A person with Down syndrome can have every physical trait of Down syndrome or none at all! 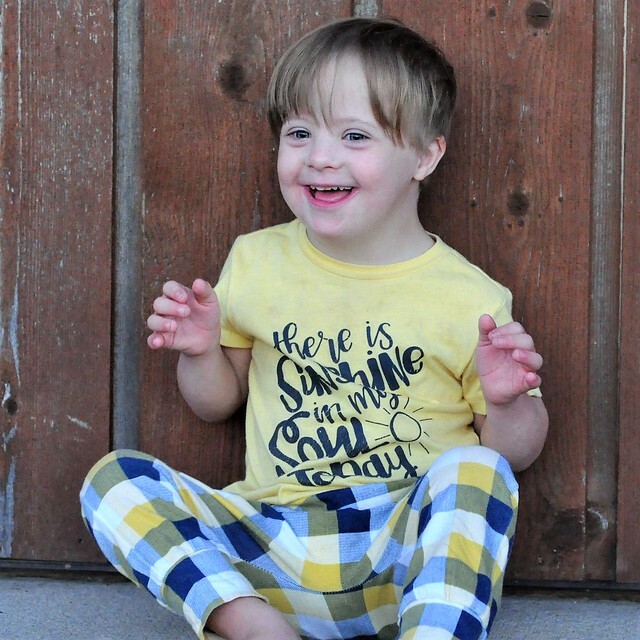 A sandal gap between the toes, a palmar crease on the hands, an upward slant to the eyes, small size, a wide and flat nasal bridge, small ears, a short neck, and low muscle tone are common physical features of Down syndrome. But every person who has Down syndrome is unique, and may have all of the physical traits or none at all! People who have Down syndrome attend school, go to college, and work with their typical peers! Inclusion is the norm these days, and that's how it should be! Thanks to inclusion, typically developing kids are learning acceptance at an early age, and people who have Down syndrome are THRIVING. Inclusion is what will change the world, and it's so important not to limit people who have Down syndrome. They CAN and they are ABLE if you just give them a chance. Find out more about Disability Inclusion in the workforce. People who have Down syndrome can live alone and have relationships. 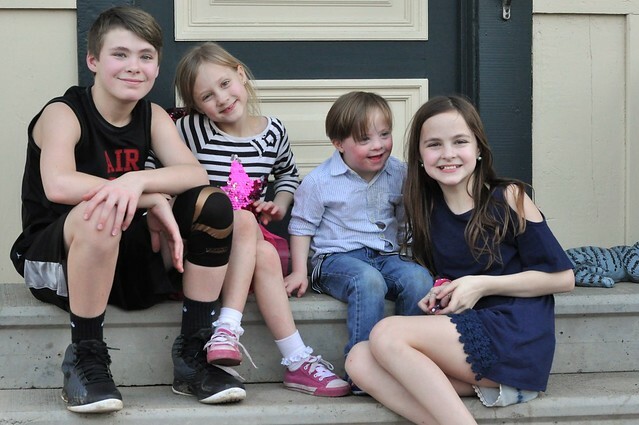 It is a false assumption that people who have Down syndrome will always be a child. Once they reach adulthood, they should be treated as such. While some people may not ever be able to live on their own, or may require support, there are just as many people who can - and do - live independently and pursue relationships with others. And, yes, people who have Down syndrome can get married! Read all about Mark, who works, lives alone, and is active in his community! People who have Down syndrome participate in sports and activities. People who have Down syndrome have hobbies just like any other. Just as it is with education, inclusion is becoming increasingly popular in sports and activities, and people with Ds are competing and participating with their typical peers. People who have Down syndrome vote, make decisions, and contribute to society. Contrary to popular belief, many adults with Down syndrome are contributing members of our society. They have opinions, they make their own decisions, they vote, they work, and they volunteer! Therapy, a quality education and a good support system are key to success. There are so many more resources available today for people who have Down syndrome than even a decade ago. People who have Down syndrome are very capable, but they have to work harder than their typical peers. Therapy, which begins shortly after birth, a quality inclusive education, and a great support system are key to their success. People with Down syndrome typically have only a mild to moderate cognitive delay. A common belief is that people who have Down syndrome have a severe cognitive delay. Although all people who have Ds have a cognitive delay, the reality is that it's usually only a mild to moderate delay. People who have Down syndrome experience every emotion. I can't tell you how many times we have been told that people who have Down syndrome are ALWAYS happy! Although that extra chromosome seems to contribute to extra joy, people who have Ds experience every single emotion. They feel sadness, they feel anger, they worry, they get excited about things, and they absolutely realize when they've been hurt by others. People who have Down syndrome can communicate. People who have Down syndrome love their lives, they love who they are, and their families and friends love them very much! Many people falsely assume people who have Down syndrome are suffering. That is FAR from the truth! People who have Down syndrome are happy with their lives, they are proud of who they are, they love their family and friends, and they accept others just as they are. They are LOVED very much in return, by their families, friends, and support system. People who have Down syndrome are HUMAN BEINGS. This shouldn't have to be said, but too many people look at the extra chromosome and just that extra chromosome. They allow that extra chromosome to define a human being. And sadly, we still live in a world where parents who have a child with Down syndrome still have to defend their child's right to even exist. That extra chromosome often takes the spotlight, and the world forgets to see the HUMAN BEING first. Look closer, world. Because when you judge unfairly, you are missing out on something very special! This is our 5th year celebrating World Down Syndrome Day in honor of our sweet Liam! 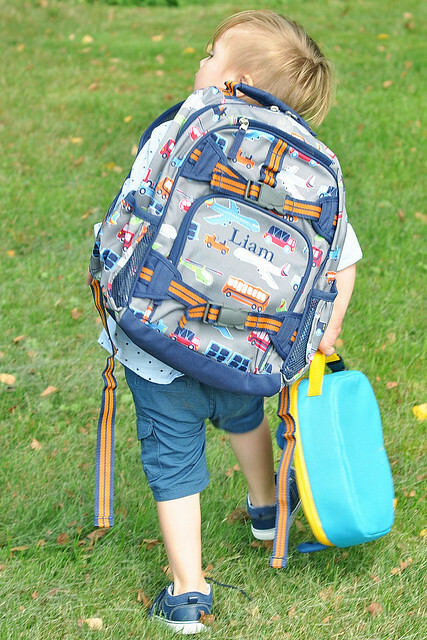 When Liam was diagnosed with Down syndrome, we expected our lives to change drastically. At first, all we could see was that extra chromosome, but before long, days would go by and we would forget he even had Ds. Our lives changed, but not in the ways we expected. What we learned is that Down syndrome really is quite beautiful, and our son was perfect exactly as he was. 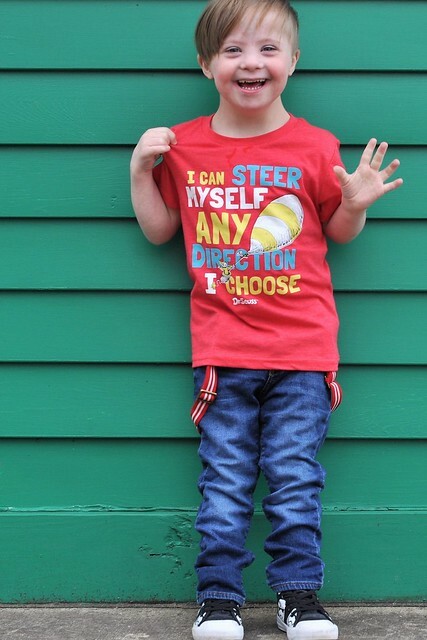 The most surprising thing about Down syndrome is the fact that our lives are actually quite typical, and Liam really is more alike than different! Contrary to popular belief, Down syndrome is nothing to fear. It is simply one tiny extra chromosome. 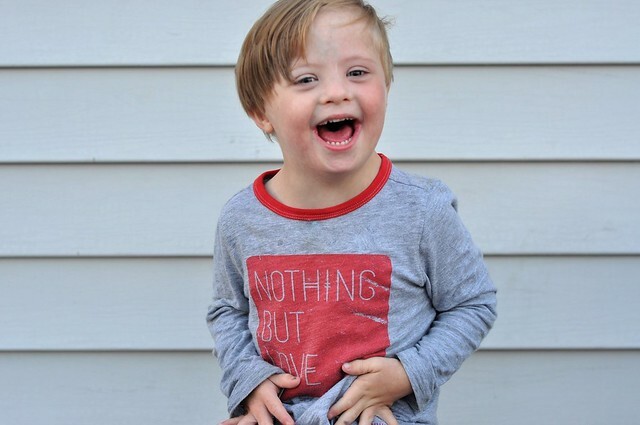 Today, we celebrate the beauty of Down syndrome, and show the world that we ALL belong. We ask you to look past that one extra chromosome, and focus on the other 46 that are JUST like you! I love how you educate everyone on DS. I love watching your son grow up!! He is just so full of sunshine. Great post. Learning more is so important! Happy World Down Syndrome Day (yesterday) to you guys! That sweet baby of yours is just the sweetest thing and you are blessed to have him. He is always smiling!